Did you visit one of our facilities recently? We would love to hear from you! It will only take a few minutes, and would help us tremendously to continue to improve! 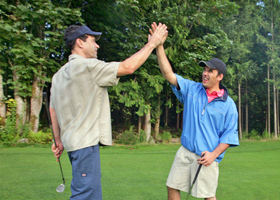 At GolfBC, we value your comments, feedback and suggestions, and appreciate your time in sending them to us. You can also contact us through our online form, or by emailing/calling any of our golf courses. All GolfBC courses, and restaurants, are on TripAdvisor. Visit TripAdvisor.ca and search for one of our courses or restaurants. Your feedback is very much appreciated!